The multi-Grammy Award-winning group are live in Vegas! 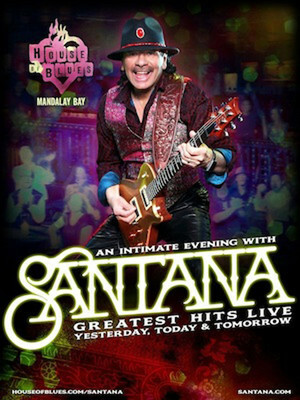 The supernaturally talented Santana to set Vegas alight! Eponymous with the 1999 smash-hit album Supernatural that saw the likes of Smooth and Maria Maria play across a full spectrum of radio stations, it may come as some surprise for middle-aged fans to hear that Carlos and his Latin San Francisco-based rock band started out in 1969, even performing at Woodstock! 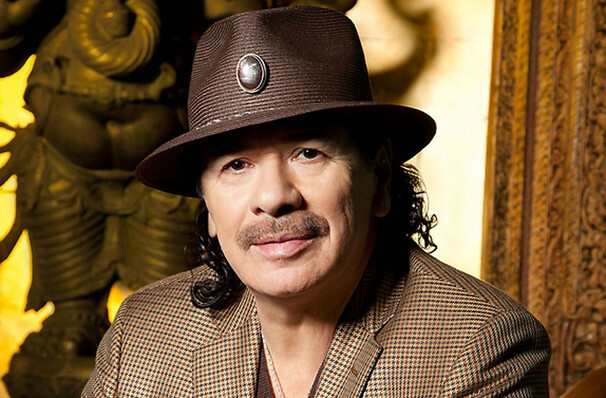 Now still going strong, Carlos and co are taking up residency in Las Vegas for once more with An Intimate Evening with Santana - Greatest Hits Live. While the band's personnel changed many times over the years, Carlos Santana has been the sole constant, deftly steering the group to commercial success well into the new millennium. Their latest album Corazon, (number 37 overall) was released in 2014 to critical acclaim and declared double platinum in Latin charts. however, they will always be celebrated for Supernatural, which garnered 11 Grammy nominations., winning a record-breaking nine. Seen Santana? Loved it? Hated it? Help your fellow Las Vegas Theater visitors by leaving the first review! Sound good to you? Share this page on social media and let your friends know about Santana at House of Blues. There's still no other British pop star quite as entertaining and unpredictable. Please note: The term House of Blues and/or Santana as well as all associated graphics, logos, and/or other trademarks, tradenames or copyrights are the property of the House of Blues and/or Santana and are used herein for factual descriptive purposes only. We are in no way associated with or authorized by the House of Blues and/or Santana and neither that entity nor any of its affiliates have licensed or endorsed us to sell tickets, goods and or services in conjunction with their events.